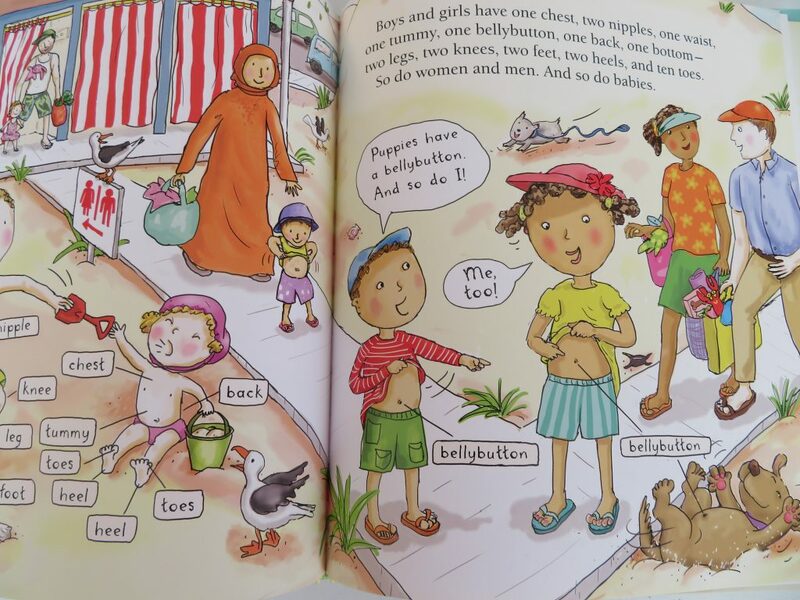 It is really, really challenging to find an age-appropriate book for young kids that want to know what naked bodies look like for boys and girls. But the search was worth it; this book is perfect. Your curious kid gets to see what everything is and what everything does using the real terminology in a completely straightforward and appropriate way. Even the family dogs are included in the explanations, adding to the beautifully matter-of-fact tone.